How To Peel An Entire Bag Of Potatoes In Under 60 Seconds. There’s a several delicious delicacies you can make out of potatoes – cheese fries, tater tots and potato salad, to name a few – but peeling them isn’t that much fun. Although this kitchen task is not really hard, and it doesn’t require even the slightest degree of culinary skill, it just consumes a lot of time. Glad to know it doesn’t have to be that way. A master potato-peeler has surfaced on the internet, and he’s taught the world how to peel an entire bag of potatoes in under 60 seconds. Not only does this trick save you a lot of time, it also looks like fun. Plus, this guy’s way of peeling potatoes lets you feel like a badass while feeding a crowd at the same time. What could be better? Watch the video to see this trick in action. Now you can go and make a mountain of potato salad, because it just got infinitely easier. 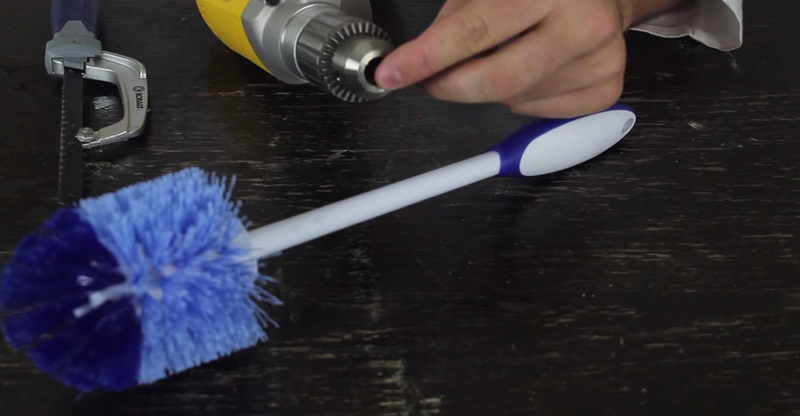 Just make sure you won’t use an old toilet brush!